#GBdoc is one of the main hashtags used on Twitter by members of the UK Diabetes Online Community. Whilst the majority of tweets/discussions are based around Type 1, #GBdoc is all encompassing. The other main hashtag used in the UK is #ourD. 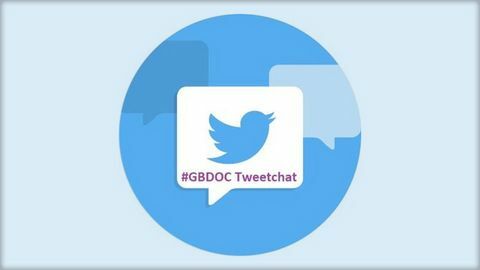 In August 2012 the very first #GBdoc tweetchat was held and these very well attended online chats still take place almost every Wednesday at 9pm, lasting for one hour and discussing various Diabetes related topics. At the end of the tweetchat a game of #BGBINGO is often played where random number is given by the host and people do a glucose check to see who is closest. #GBdoc was initially founded by Paul Buchanan, who also ran TeamBloodGlucose (TeamBG). Paul stepped back from running the tweetchats during the summer of 2017 and the role of hosting is now coordinated on a weekly voluntary basis, with any member of the community able to volunteer with a topic and run the chat from the shared @GBdocTChost account. There were two successful #GBdoc conferences (2015 and 2016), run by people with diabetes, for people with diabetes. For personal experiences of what went on at the 2016 conference see here or here. The #GBdoc hashtag is also often used by people with diabetes using social media when they post something diabetes-related. It can be used to search for current posts relating to diabetes from the UK community at any time.